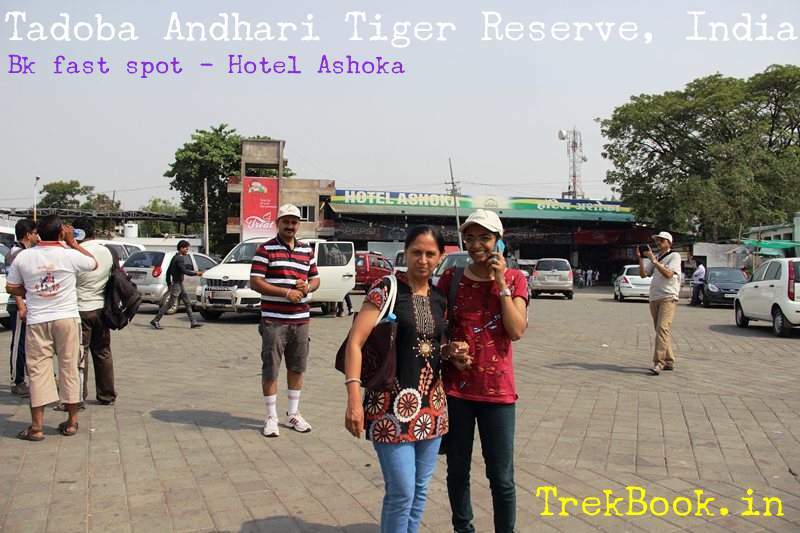 Our first stop was at Hotel Ashoka, which is pretty descent hotel with standard as well as typical Nagpur breakfast options like Idali, Dosa, Poha, Upma, Shira, typical Nagpur misal etc. Hotel is spacious and one can take food comfortable .. some souvenir shops are also there where people started buying things !! 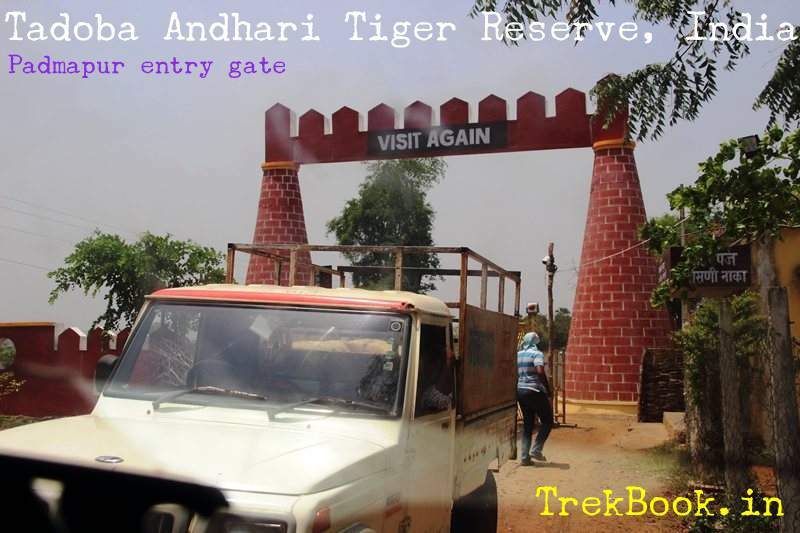 Within no time we reached to the Tadoba Andhari Entry gate point, here you have to stop to make vehicle and number of persons entry, this will be done by your driver so need not worry … no checking of ID cards etc will take place here… looks like its just a point where they records number of people going in. A board at Padmapur check post shows that entry will be closed from Evening 7 pm to morning 6 am, so one has to take care of entry timing towards the tiger reserve. You will have to wait for ~10 minutes at this check post, don’t worry keep the SUV running with A/C on then you will have no problem waiting for driver ! !